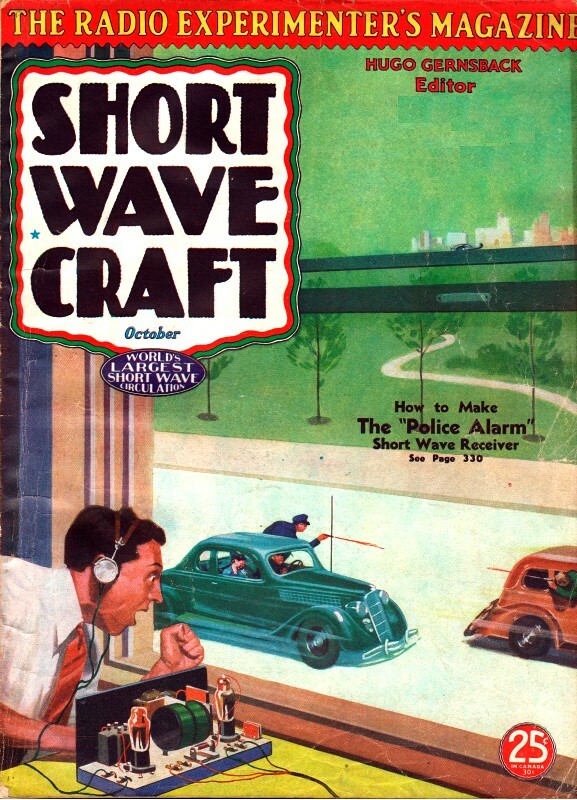 If you or someone you know is just starting in the realm of radio and want a really nice pictorial presentation of the basics of radio wave propagation, then this one-page article from a 1935 edition of Short Wave Craft is just what you need. Phormula phobia (aka formula fobia) will not be an issue for anyone. The fundamentals have not changed in the intervening 80 years. 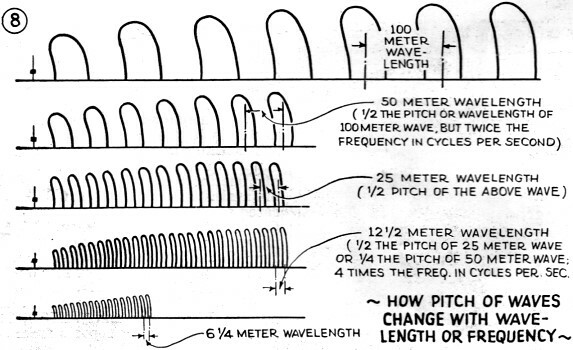 This page of elementary diagrams was prepared for the benefit of the young student, or the layman, who is just becoming acquainted with short waves. 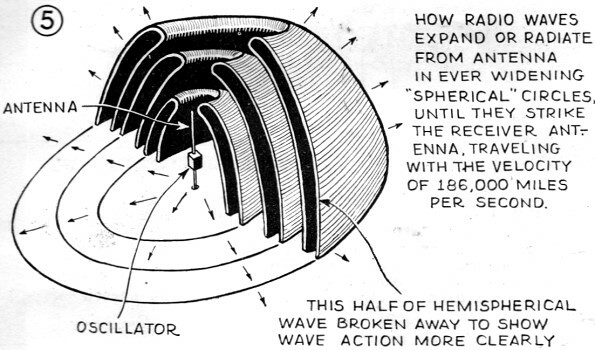 The diagrams at the top show how waves are produced on the surface of a body of water, for example, by dropping a pebble or other object into the water, or else by allowing drops of water to fall from a spigot. Note that the wavelength or pitch of the waves remains constant, but that the strength of the wave gradually becomes less at a distance from the central point where the waves originate. 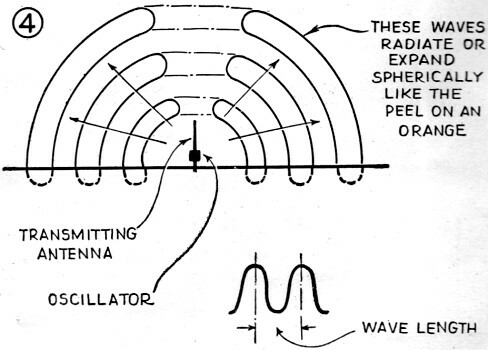 Radio waves behave in the same manner; the signal strength falling off inversely as the square of the distance. Fig. 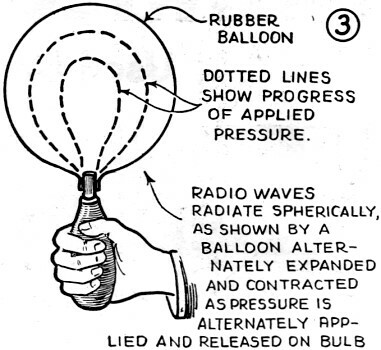 3 shows how waves expand spherically from an antenna, as do also Figs. 4 and 5. Fig. 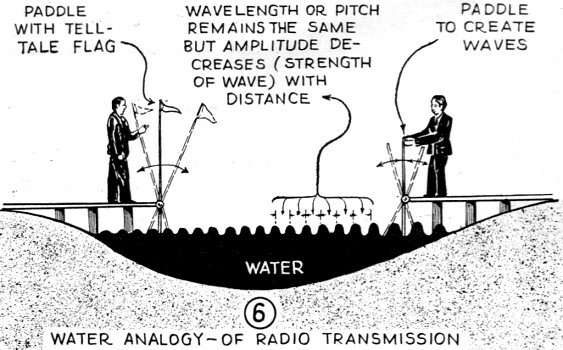 6 shows transmission of a signal by waves on surface of water; Fig. 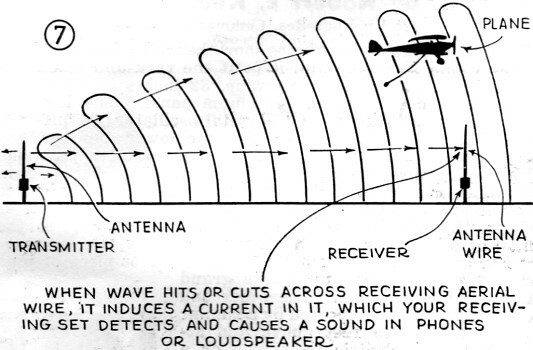 7 shows how an airplane receives signals, also a land station. Fig. 8 shows change in pitch of waves of different lengths. The frequency becomes higher as the wavelength gets shorter and vice versa.